Words and Music by Geo. May wood. 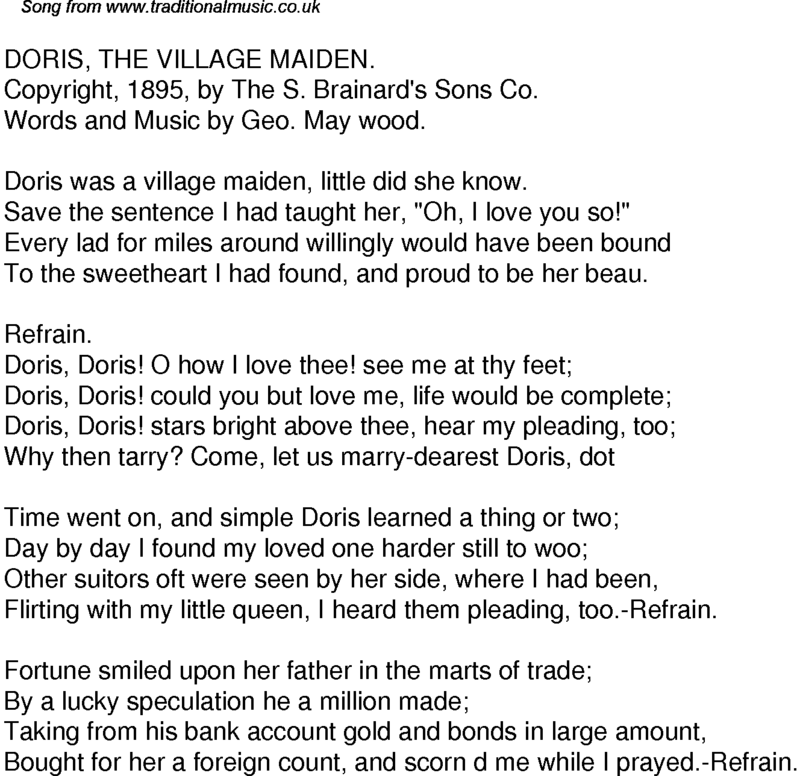 Doris was a village maiden, little did she know. Save the sentence I had taught her, "Oh, I love you so!" To the sweetheart I had found, and proud to be her beau. Flirting with my little queen, I heard them pleading, too.-Refrain. Bought for her a foreign count, and scorn d me while I prayed.-Refrain.